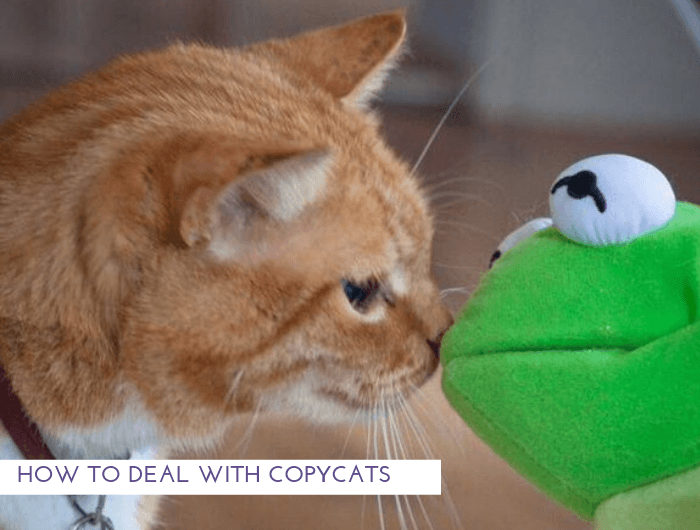 Most creative achievers have to deal with them at some point: copycats. Someone steals a significant part of your creation. 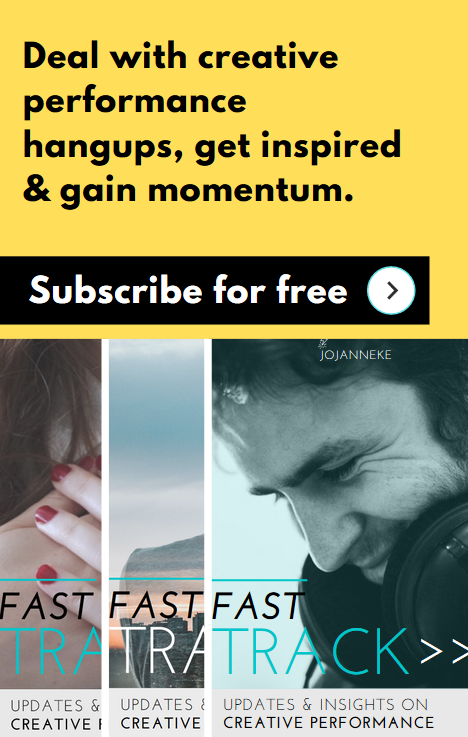 Or clearly has been "inspired" by your work. And decides to use it for his or her own gain. And that really hurts if you have worked with love and dedication on your project, business or product. To achieve something that is so close to your heart. Creating something that is closely connected to who you are. But how do you handle this when you find yourself in this situation? The moment you notice someone blatantly using the exact same words for a proposition, product, label, email, event, headline or program. I’ve had to deal with this unpleasant surprise on several accounts. For instance in 2013, when ‘a friend’ claimed a URL that just slightly differed from my offer, including the online course that I had created with much love, time, money and had sacrificed many night's sleep for. She sold it at the exact same price level as well. Ouch! After the first adrenaline rush subsided, you are overwhelmed by utter indignation. You can hardly believe it. But you can’t ignore the fact: it happened. All kinds of thoughts race through your mind. "How can they do this?" "Couldn’t they come up with something else?” “I thought we were pals!” From a distance, you hear someone well-intentioned say: "Well, it's a compliment, isn't it?" But it doesn't feel that way AT ALL. You feel cheated, robbed, and it’s almost obscene. You barely swallow your coffee, take a deep breath and google some legal keywords. You will find useful articles and tips. For example from top notch internet copywriters, and from a friendly lawyer on Twitter. You view templates for cease & desist letters. You map out all kinds of scenarios to never let this happen again. You listen to a few podcasts from colleagues. Hear someone without scruples saying "everyone is stealing from each other, that's part of the game". But it doesn't feel that way to you. You don't feel heard. Stuck in a wild jungle full of predators. You call a friend. Ultimately, you conclude that there is not one definite, standard answer to this unfortunately far too common problem. If the survival of your company is at stake, legal support is crucial. Go here, here or here. If you want to tackle the issue yourself: prepare a cease & desist letter. A model letter can be found here. If you are just irritated but still able to continue doing your job without hinderance, you can go here, here or here. All solid advice. But your course of action depends on your situation and on your inner leadership qualities. What suits you best, what do you feel most comfortable with? Educate yourself, consult with an expert, and go with your gut. What about the emotional turmoil? That also depends. I’ll never be a lawyer, but I can say something about what it feels like to go through this (long story short: horrible). And how you can bounce back from this nasty snag. This of course depends on the extent to which it has affected you emotionally, and the extent of the damage you have suffered as a result. Your best asset: resilience. The world is not free of a-holes. It is the cold, hard truth. It is what it is, and you have to choose how you want to navigate through this emotionally. Don’t stick your head in the sand, because the situation won’t go away all by itself. Your level of resilience is of the essence here. Foster your resilience. As Violet Crawley would say: ‘Don’t be defeatist, dear.’ Make sure you keep your energy on a healthy level. Because dealing with a-holes usually requires truck loads of energy. Once you decided which course to take, start practicing self-care. it helps. What also helps: practicing stoicism. How can you use your creativity to develop something in a way that it no longer resembles the thing someone stole from you? Yes, this means that you have to adjust your own creation, or come up with something new. And that thing will probably be quite “inspiring” for copycats also, so protect it accordingly. All this does not change the fact that YOU can develop your creation in YOUR way. So that it fits 100% with you and your own crowd. It can be daunting is someone steals your brand or product. Remaining calm, strong and confident can be challenging. Stay connected with what you know to be true. You have talent, skills, and you may enjoy the creation process, and share your results with the world. 4.) Create an unfair advantage. This way. Choose someone you feel comfortable with. Consult with this expert. Just in case. You can curl up in a corner and sulk, because It Isn’t Fair. You can get on your high horse, sue the bastards and scream ‘JUSTIIIIIICE’. You can play your own tune, because that’s what you do best, anyway. It all depends on how you decorate your own brand party, really.